In the digital and technical business age, it is far more important to get automated in all your business process. Collaborative Customer Relationship management synchronizes the business data across all the departments of the business to increase the customer relationship. From marketing to marketing services, finances all the aspects of business information is shared which enhances customer relation and results in more profit. Where in conventional CRM was mostly used for automation Collaborative CRM software gives more freedom by enabling the business process with customer engagement. The pressing question is how does it make customer engagement possible? Customer engagement basically means how the customer gets involved with the business houses and how effectively the communication happens between two parties. This focuses on what customer do rather than how they feel. By focusing on customer actions, it becomes easier to target the business strategy. Phone and face to face customer interaction have become obsolete with the advent of new technology and more tech-savvy customers. Customers now a day prefer to communicate through web and mobile apps. 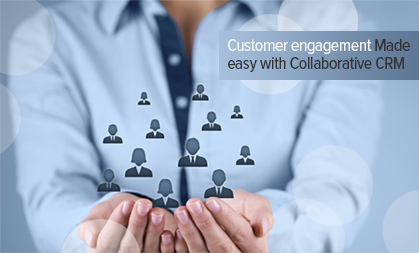 Collaborative CRM gives the organization the flexibility to contact the customer through these touch points. Collaborative CRM gives customers enough flexibility to access their account and interact with the organization at their will. For example; a customer who wants to change his address, need not speak to a representative, he can do it himself on the web portal on mobile apps. The customer can place new orders, register a new service online also. Collaborative Customer Relation Management enables organizations to pull out these data from web and process the customer data accordingly. This also helps the technical team to identify the areas where customer faces problems and can come with necessary solutions. Collaborative CRM makes data synchronization a fluid activity. 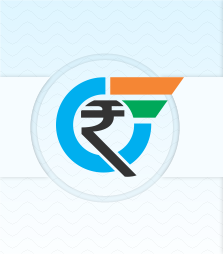 Now the data won’t remain confined to the departments. The marketing team can see finance data; finance team can see marketing data. By making data flow seamlessly in enables the organizations to analyze the data and strategies it accordingly for better business output. Why should organization opt of Collaborative CRM? Makes the higher management team more available to the customer’s direct needs and problems. If you are running a business that requires robust customer interaction, then you might prefer the Collaborative CRM, which will facilitate your strategic goal and at the same time make you more available to the customers. While choosing a CRM, just give a thought for the Collaborative CRM. It may give you better results in a long run.